China's e-commerce giant Alibaba Group Holding Ltd will be launching its own telecommunication services in June after receiving the country's first mobile virtual network operating licenses late last year, the official Xinhua News Agency reported. The details of the telecom services by Alibaba, however, remain a secret but Xinhua said the e-commerce giant has teamed up with China's major telecom carriers - China Mobile, China Telecom and China Unicom - to offer the best telecom services to the millions of mobile users in the country. 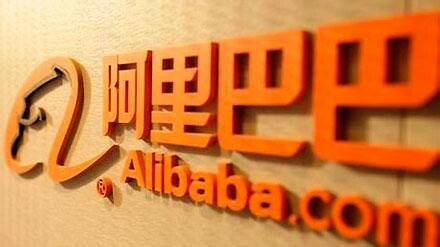 Alibaba is among the 11 companies approved by Chinese regulators to operate virtual network in China. JD.com, China's second-largest e-commerce firm, is also set to launch its telecom service in May after receiving the same license from the Ministry of Industry and Information Technology. Both Alibaba and JD.com have not released the details of the mobile service packages they will be offering. Recently, Alibaba paid 6.54 billion yuan (about US $1.06 billion) for a 20 percent stake in Wasu Media, a Chinese Internet TV firm, allowing Alibaba to expand its reach into the country's growing digital content market. The investment in Wasu was announced on the same week that Jack Ma, the billionaire founder of Alibaba, paid 3.3 billion yuan (about US $529 million) to acquire Hundsun Technologies Inc., a Chinese financial software developer. It also paid US $800 million for a majority stake in ChinaVision Media Group Ltd., which owns business ranging from print media to TV and films and, recently, mobile games. Analysts said Alibaba has been on a buying spree since last year as it prepares for its initial public offering in the US. The Alibaba IPO, which failed to secure permit for a listing at the Hong Kong Stock Exchange, is expected to be the biggest after Facebook.